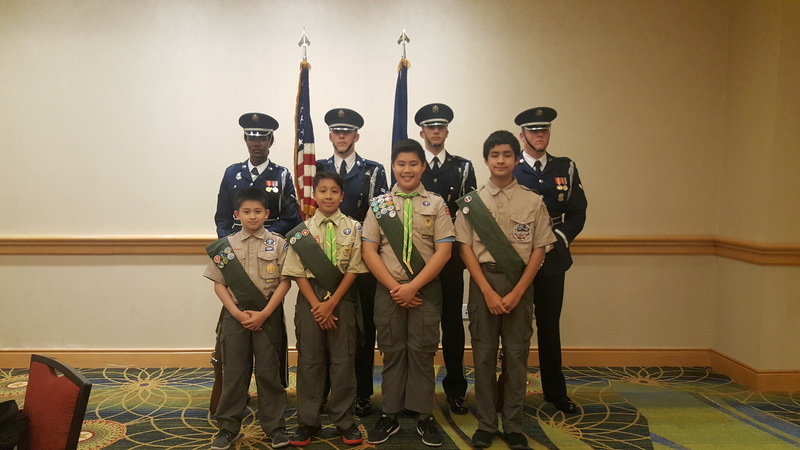 Troop 1794 has an honor to be a part of the opening ceremony for the gala hosted by the US Pan Asian American Chamber of Commerce (USPAACC). The venue was at the North Bethesda Marriott Hotel in Bethesda, MD. The flag ceremony was performed by the USAF Honor Guard. Evan, Vincent, Brandon, and Thanh were on stage leading the audience of 400+ with the Pledge of Allegiance.